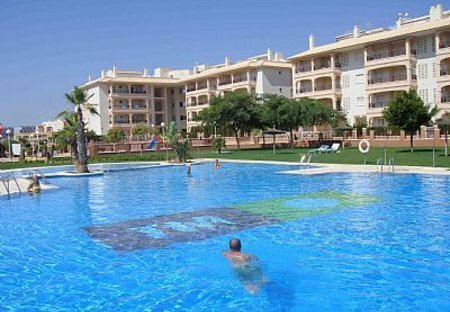 Rent apartments in Laguna Golf, Spain with swimming pools. Book affordable holiday rentals that are near a beach and golf course. This well kept holiday home with a balcony is in a modern residential complex with a stunning pool area and lot of greenery. The bright and friendly interiors provide a feel-good atmosphere. Beautiful 3rd floor apartment w. shaded balcony + sunny yet private roof terrace. 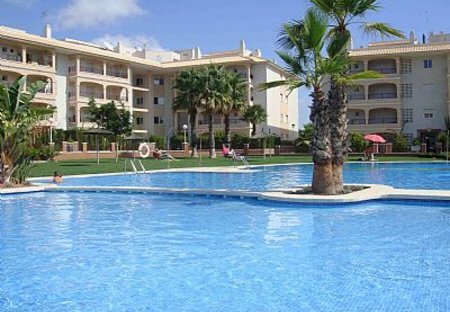 Situated in a modern residential complex containing a beautiful pool area(gated), play park + tennis/football courts.